It was very sad to learn late last night that Peter Giafis had passed away. Peter was an institution in the ABC at Southbank Melbourne, always with one of his Nikon’s over his shoulder. For my last few years at ABC Southbank Peter was someone I looked up to ( and not just because he was tall ), but for his help, guidance and amazing knowledge of photography. Knowledge that he shared so willingly with all those that asked. I am a better photographer than I could have ever been thanks to his guidance and support. His curiosity about cameras and photography helped shaped my photography is many ways. His quiet nature in taking “the” shot and how he blended into the background is a skill I struggle to master. His use of light and subject have lead to many photos that recorded history in not just the ABC, but around Australia. 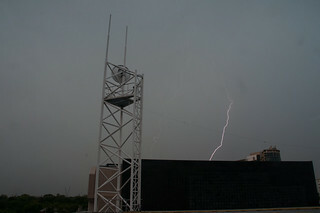 I will always have fond memories of chasing lightning photos with Peter on the roof of the Southbank building, discussing the latest in Nikon gear and which lens to use for which purpose. Sharing what I had shot with him over the weekend to see what I could improve on. His generosity even lent to him bring his prize 600mm F4 lens to work so we could test if the D90 really could run any lens. Which the camera passed in flying colours of course. Even with the Bigma lens, my camera still misses the beauty that was the 600mm lens. In 2010 it was amazing to be a finalist in the 2010 Getty Images Grab competition along side Peter, ( Finalists Flickr Link ) and whilst neither of us won, to be shortlisted along side Peter gave me a major confidence boost. 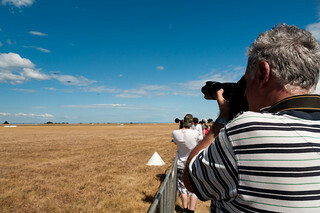 After I left Aunty I still ran into Peter at a number of events that he was photographing. 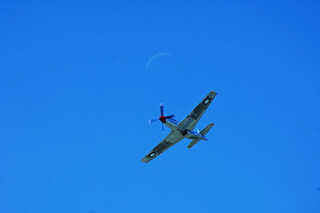 I had the pleasure of a whole day with him at the Point Cook airshow early this year. The last time I saw Peter was a discussion just before the Moomba fireworks on the best place to shoot them. Of course he got the one shot that I missed that day at Point Cook, that killer shot of luck and the real photographers eye, but I still have the daytime lightning shot that he missed. Peter was a true gentleman in every meaning of the word. The world of photography suffered a loss this week. My deepest sympathy to those the knew him and to his partner condolences to his partner Effie Katrakazos. 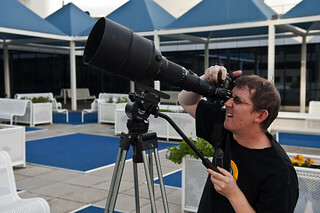 He has children, his legacy (and 600mm lens) will live on. I then worked along side him in Master Control for a few years including the move to Southbank in nineteen ninety something. I only found out recently and by accident that he’d passed. I actually googled him to see if I could find his email address as I wanted to catch up for a caffeine fix and a chinwag with him but alas, not to be. Good-bye mate, I love you.